Back by popular demand, R.D. Anderson's Meals-To-Go has unveiled a new menu! These delectable meals will be available beginning February 4th. 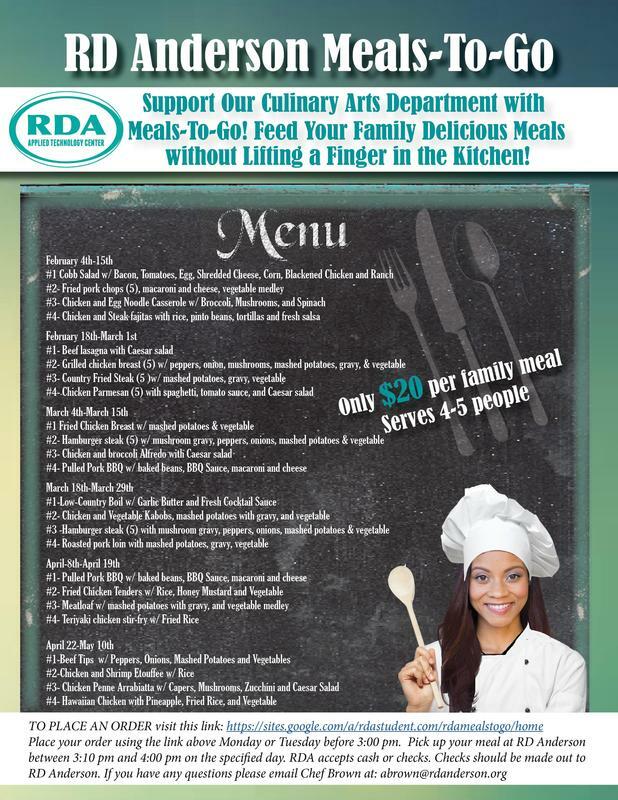 All proceeds are used to support our Culinary Arts Program. Please share this flyer with your friends and family. Thank you in advance.